Nicole loves to immerse herself in diverse cultures and meet new people through different ways of traveling such as couchsurfing and volunteering. While traveling, she realized her passion for working with people in a multicultural context. 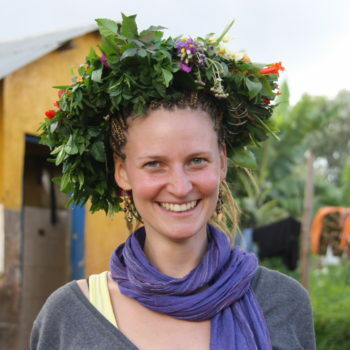 Nicole thus spent one year as a volunteer in two orphanages for street kids close to Nairobi. Her task was to engage them and show them perspectives for their future beyond the streets. By joining Amani Institute, Nicole wants to take the next step of transferring her professional career towards her passion of creating social change. Nicole holds a Masters in Industrial Engineering. She loves being around people and playing any kind of game. She spends her free time with reading, photography and being out in nature hiking or cycling.